During my research on Funter Bay, I’ve come across a few bits and pieces that slipped through the cracks of earlier posts. Rather than going back and shoehorning them in, I figured I’d combine some of them into a mini-update. I’ll probably have more of these as more stuff shows up. 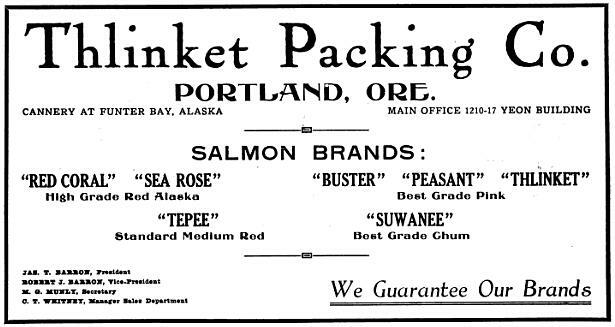 Here is a can of Peasant Brand pink salmon, packed at Funter Bay around 1909. 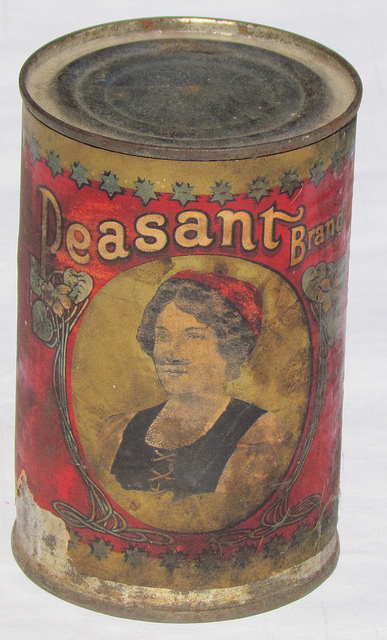 This was found in an attic. Much thanks to Brian Mahaney for giving me permission to post his photos! His flickr page can be found here. The Suwanee brand seems to have gone to the New England Packing Co. Here’s a mid-century example of that label. 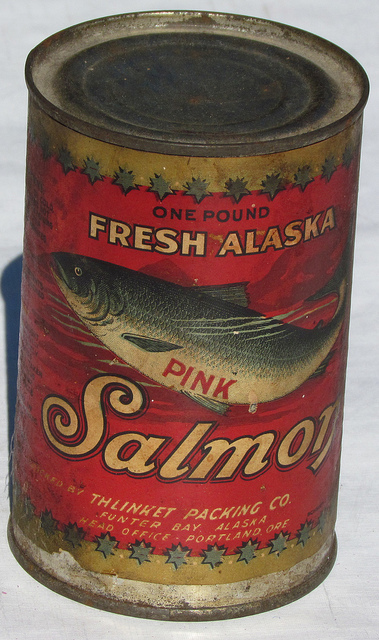 Here’s a great write-up on Alaska salmon cans, from the Alaska State Musem. Moving away from cans and back to land ownership, below is an early draft of the survey for J. T. Barron’s “Mining Claim”. In 1901 he already had a water line and pipe at the property which was to become the cannery. He also had a small “Open Cut” prospect which was the basis of the mineral claim (although as mentioned, no actual mining was ever done). The cannery tender Anna Barron had a new tail shaft (prop shaft) installed in August of 1916. James Murphy was the chief engineer on the steamer. A 1918 news article reported that the first “C-O Engine” (Crude Oil engine) in Alaska had been installed in the cannery tender Barron F of Funter Bay. C-O engines predated diesel and could run on anything from used motor oil to butter! More on the Barron F is here. The cannery tender Fairweather, belonging to the P.E. Harris Co, sank at Cordwood Creek on July 18, 1930. Captain C. Nesset was in command, but one of the deckhands was steering, and the vessel hit a rock when he fell asleep at the wheel. Captain J.V. Davis refloated the vessel and towed it to Funter Bay for repairs the next day. (P.E. Harris bought the Funter Bay cannery in 1941). The Anna Barron rammed the tug Henry Finch while docking at Douglas near midnight on July 22, 1930. There was some damage to the tug. 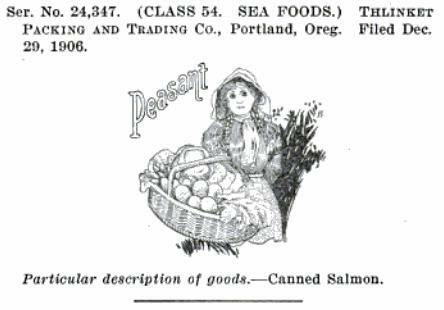 A 1932 report mentioned that there were two canneries at Funter Bay. They may have been referring to the fish buying station as a cannery, or they could have meant the saltery. 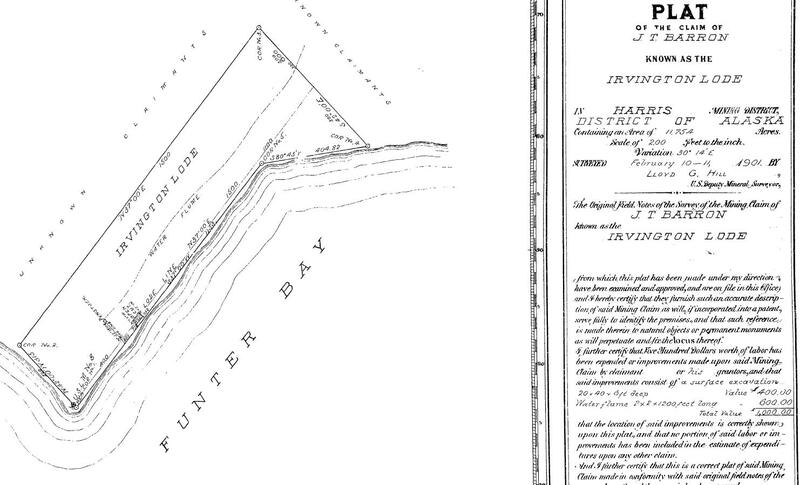 This entry was posted on Friday, May 24th, 2013 at 6:00 pm and is filed under Funter Bay History. You can follow any responses to this entry through the RSS 2.0 feed. You can leave a response, or trackback from your own site.